“I never thought when I studied to become a geriatric psychiatrist, I would have to diagnose my own father.” Dr. Vasaundhara Kalasapudi said. The sentence was the emotional opening to her presentation at the popular “EqualiTalks” at “Achieving Equality for All” Community Development conference organized by Asian Americans for Equality (AAFE). 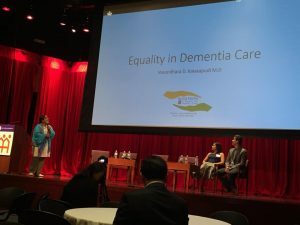 As one of four speakers voted in by members of the non-profit community, Dr. Kalasapudi spoke about Equality in Dementia Care among South Asian elders. Adopting a culturally sensitive approach, whether it is for congregate meals or creative aging activities such as art classes or writing workshops, helps to ground affected seniors by offering a sense of comfort and familiarity. 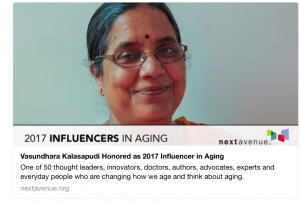 Dr. Kalasapudi experienced the travails of taking care of her father who suffered from vascular dementia and watched her friends struggle with providing culturally sensitive care for their parents. These experiences, she said, convinced her that Asian dementia patients need to be offered a different set of treatment options than are currently prevalent. On October 24, 2017, the Asian American Federation released their newest report titled Overcoming Challenges to Mental Health Services for Asian New Yorkers. 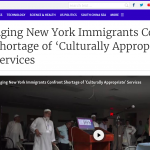 This report is based on a year-long study that included focus groups, interviews, and meetings with approximately 20 Asian nonprofit organizations providing direct or indirect mental health services in New York City. 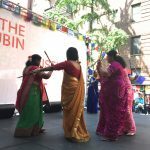 The report, according to the organization’s Press Release highlights the increasing visibility of mental health needs in New York City’s Asian community and provides recommendations for addressing the major challenges in increasing mental health services for the Asian community. 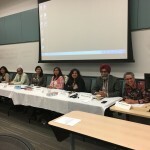 Dr. Kalasapudi was part of a panel of leaders heading community based non-profit organizations who were invited on the occasion of the report’s release to talk about mental health needs in their communities. 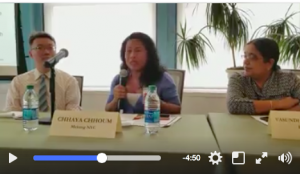 Other panelists included Chhaya Chhoum from Mekong NYC, Dr. Yu-Kang Chen from Hamilton-Madison House, and Linda Lee from Korean Community Services of Metropolitan New York, Inc. (KCS). Speaking about her experiences as both a practicing Geriatric Psychiatrist and the Founder and Executive Director of India Home, Dr. Kalasapudi stressed the need for preventative and ongoing mental health services that were culturally appropriate for Asian patients. 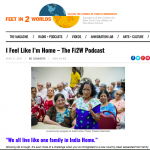 She talked about the various services that India Home offers such as yoga, wellness talks, South Asian Indian and Bengali congregate meals, celebrations such as Diwali and Eid, as a means to prevent dementia and depression among the South Asian population in New York. India Home’s Dilafroz Nargis Ahmed has won AARP’s Asian American Pacific Islander (AAPI) Community Hero Award. 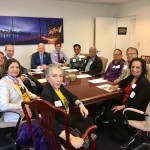 The American Association of Retired Persons (AARP) created the award in 2016 to acknowledge the hard-working staff and volunteers of nonprofit organizations serving AAPIs age 50-plus. AARP is the largest membership organization in the United States with over 38 million members across the country. Nargis Ahmed, or Nargis Apa, as she is known to the seniors and staff, is the Center Director at India Home’s Desi Senior Center, the largest Muslim senior center in New York City. A staff member since 2014, Nargis has worked tirelessly to make the Desi Senior Center a warm and welcoming place for new immigrant Bangladeshi Muslim seniors, helping them to access social services, feel comfortable in their new country and integrate into American society. 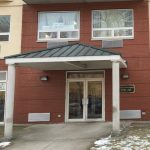 As Center Director, she oversees the programming that improves the well being of her seniors and provides a safe haven for the over 150 Muslim seniors who visit the center every program day. 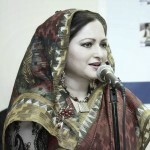 She also advocates for our seniors, providing valuable culturally relevant testimony and perspective to elected officials and city and state authorities on issues as varied as halal home delivered meals and transportation. 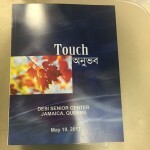 Talk to our seniors about Nargis, and they say that they look forward to coming to the center every day because of her warm and generous nature. She knows each one of them and their problems and always has the time to stop and listen. She has been their hero all along. AARP garnered 61 nominations for the award and their judges chose 10 outstanding finalists. A popular vote competition on Facebook helped involve the AAPI communities and choose the top three winners. The top three finalists will each be awarded with $1,000 dollars and another $1,000 dollars will go to the non-profit organizations they represent. Congratulations to them all — and especially to Nargis for her hard work and dedication to her community and India Home’s mission. 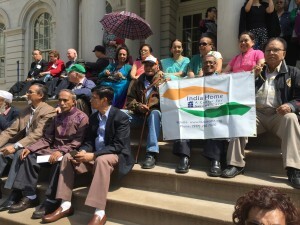 Lakshman Kalasapudi, Deputy Director, India Home and Nargis Ahmed, Program Director, Desi Senior Center, were both called on to testify at separate New York City Council hearings. Nargis Ahmed, in her position as Program Director of India Home’s Desi Senior Center, the largest Muslim Senior Center in New York City, testified on April 26, 2017 before the Committee on Aging in support of Resolution 0262-2014. The Resolution calls on the Department for the Aging (DFTA) to ensure halal meals are available as a part of the home delivered meal program for seniors. 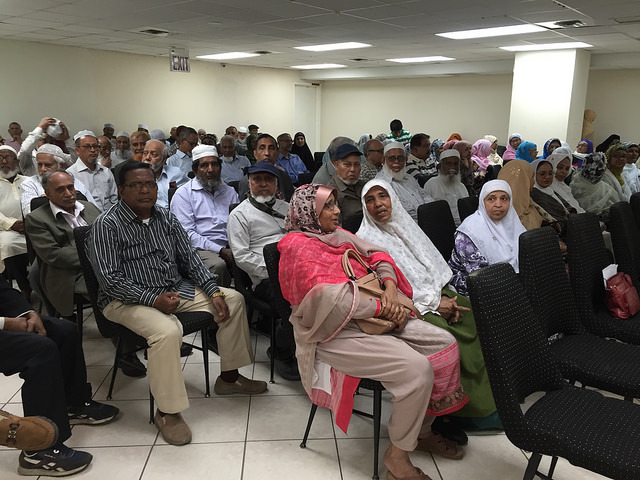 Ms. Ahmed testified that India Home runs the largest halal senior center congregate meal program in the city, with over 100 seniors who attend the program, access case assistance services, recreational activities, health and wellness programs three days a week. Halal food is an integral part of Islam and a subset of one of the five main pillars of the religion. Muslims seniors eat only halal food in order to continue their faith and religious practices. 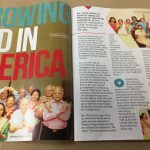 India Home’s ability to offer culturally appropriate meals, has allowed the organization to serve an underserved and ignored segment of seniors in New York City. Availability of halal home delivered meals would help India Home and other Community Based Organizations to reach homebound Muslim seniors who desperately need culturally appropriate home delivered meals, as well as case management services, friendly visiting programs, and other aging related services. Halal meat is readily available. 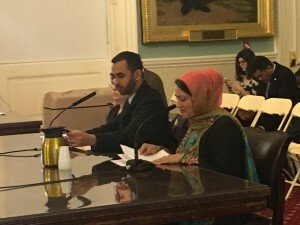 Many New York city schools now serve halal lunches, as a result of advocacy efforts–in which Ms. Ahmed participated. “There should be no reason why Muslim seniors cannot get halal home delivered meals in this day and age. We at India Home are ready to partner with DFTA to deliver these meals,” she said. 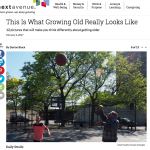 Almost 50% of New York City’s older adults are immigrants. 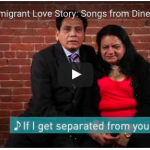 Many immigrants, including those we serve, have unique needs which require targeted outreach and extra attention. Many older immigrants do not have income support such as Social Security, and experience barriers accessing city agencies and services because they cannot speak proper English. As a result of their unfamiliarity with American ways, they face hardships in navigating the city’s transportation and healthcare systems . Many of them also have culturally mandated dietary restrictions that make attending a senior center or a hospital stay difficult for them. Kalasapudi recommended explicit and intentional interagency coordination and communication between the Mayor’s Office of Immigrant Affairs (MOIA) the Department for the Aging (DFTA) to ensure that vulnerable older adults are brought more fully into the aging services infrastructure so that they may access SNAP benefits, city services, and community activities. A partnership between MOIA and DFTA could also give rise to increased data collection that would help quantify the needs of our seniors. 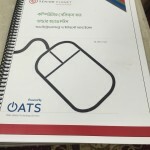 An entity like MOIA has the sophisticated resources necessary to compile and deliver the accurate data required how immigrant older adults access or face barriers accessing city services, social services, legal services, housing, and adult education. Further, Kalasapudi recommended that MOIA should disaggregate the date to reflect the diverse needs of immigrant communities. Immigrant elders are of different cultures and ethnicities, speak different languages, and practice diverse cultures and religions. We need data along all these variables to better serve individual communities. He suggested that MOIA pay added attention to homebound immigrant older adults who, because of their physical or cognitive limitations, are even more isolated and vulnerable. He said that immigrant seniors have limited English speaking skills, have little income support, are unfamiliar with the healthcare and transportation systems here, and desperately need affordable housing to alleviate the overcrowded situations they are living in at present. 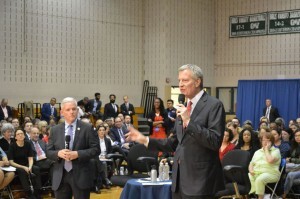 Mayor de Blasio answered that NYC has invested in affordable senior housing and mentioned the ThriveNYC Mental Health Initiative. 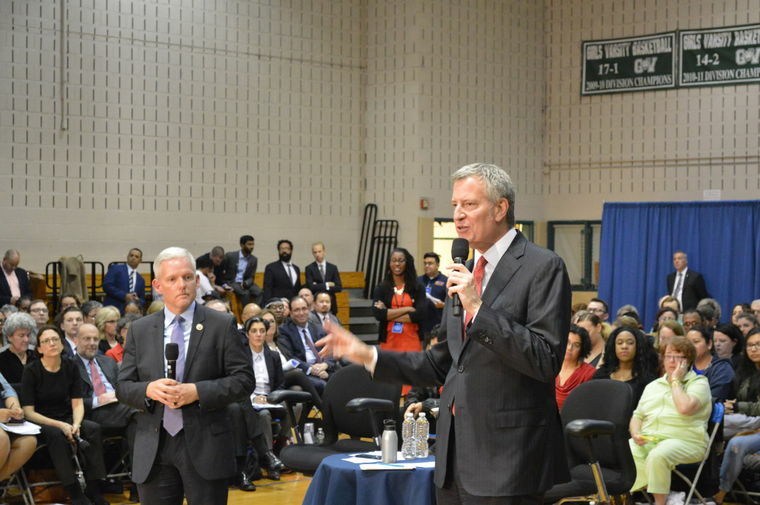 He then referred the question to Donna Corrado, Commissioner, NYCs Department for the Aging, who had some very nice things to say about India Home’s services. As for the questions: “We intend to keep asking them!” Kalasapudi said. India home is happy to announce that we have been selected to receive a grant from the Communities of Color Nonprofit Stabilization Fund (CCNSF). The CCNSF grant is given to nonprofits serving majority Asian, Latino and/or Black communities and helps them build organizational capacity. The fund recognizes that organizations (like India Home) with leaders drawn from the community are better positioned to meet the needs of their members. The CCNSF grant will support our efforts to create a long term strategic plan and come up with a road map for the future. The grant will also help us access expert advice and resources and use them to build our organization’s capacity and long term sustainability. “I’m looking forward to working with experts in the field to sharpen our organization’s focus and scope. It will strengthen our efforts to better serve our members,” said Lakshman Kalasapudi, Deputy Director of India Home.